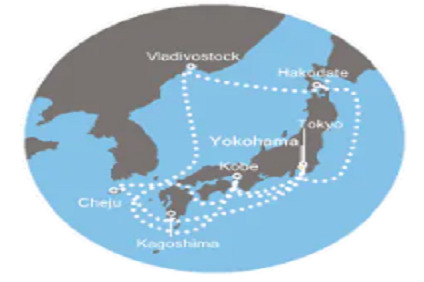 6 Night cruise sailing from Yokohama to Tokyo onboard Costa neoRomantica. 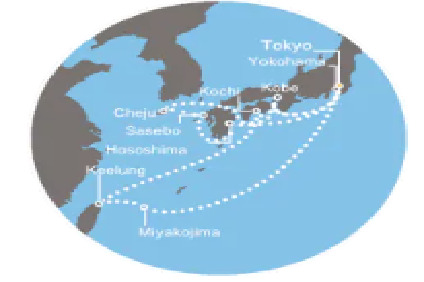 13 Night cruise sailing from Yokohama to Tokyo onboard Costa neoRomantica. 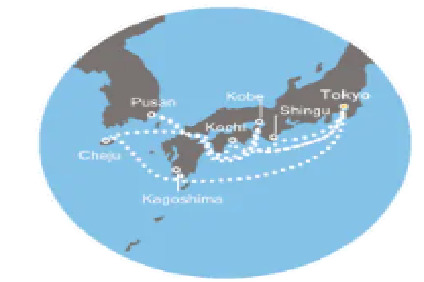 7 Night cruise sailing roundtrip from Tokyo onboard Costa neoRomantica. 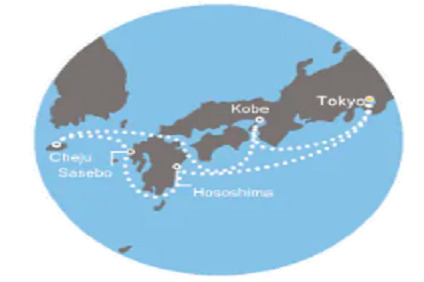 15 Night cruise sailing from Tokyo to Yokohama onboard Costa neoRomantica. 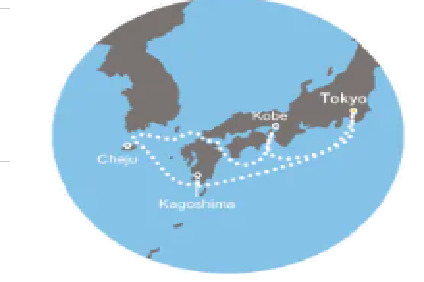 8 Night cruise sailing from Tokyo to Yokohama onboard Costa neoRomantica. 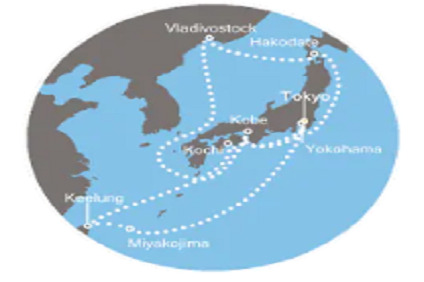 16 Night cruise sailing roundtrip from Tokyo onboard Costa neoRomantica. 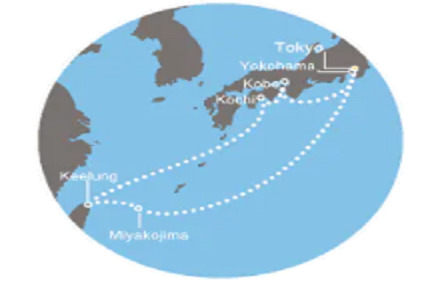 8 Night cruise sailing from Yokohama to Tokyo onboard Costa neoRomantica. 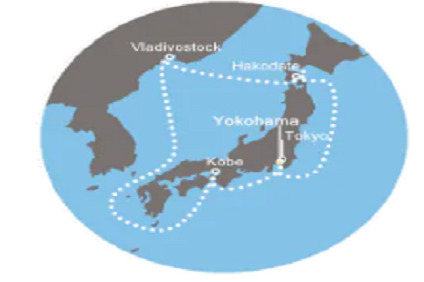 14 Night cruise sailing from Yokohama to Tokyo onboard Costa neoRomantica. 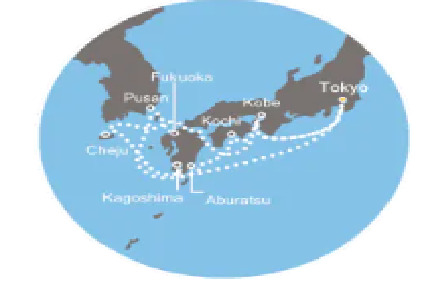 6 Night cruise sailing roundtrip from Tokyo onboard Costa neoRomantica. 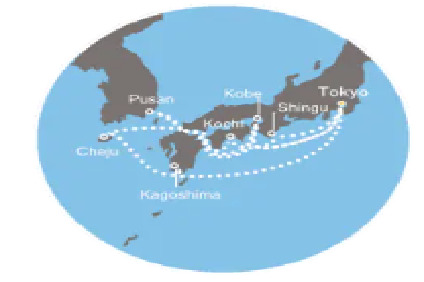 13 Night cruise sailing roundtrip from Tokyo onboard Costa neoRomantica. 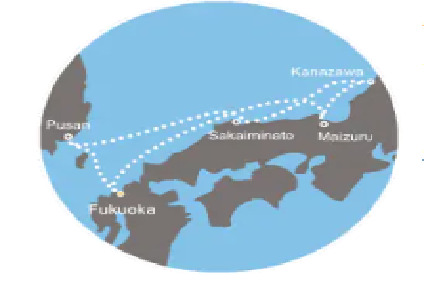 14 Night cruise sailing roundtrip from Tokyo onboard Costa neoRomantica. 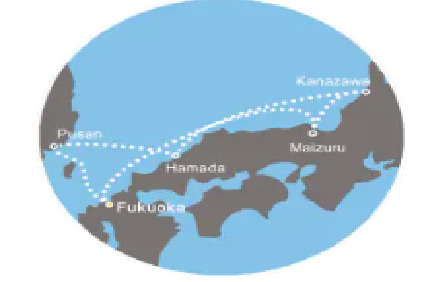 13 Night cruise sailing from Tokyo to Fukuoka onboard Costa neoRomantica. 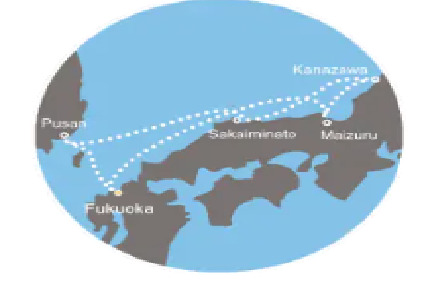 6 Night Cruise sailing from Tokyo to Fukuoka aboard Costa neoRomantica. 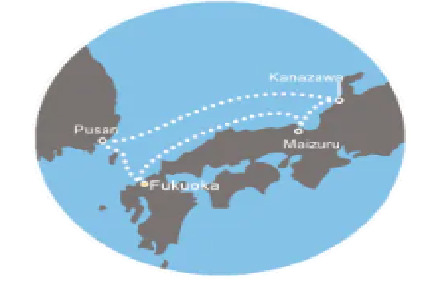 5 Night Cruise sailing from Fukuoka roundtrip onboard Costa neoRomantica. 4 Night Cruise sailing from Fukuoka roundtrip onboard Costa neoRomantica. Samsara Suites have large panoramic windows with glass doors that lead to your spacious private veranda, two twin beds most of which convert to a queen-sized bed, accomodating closet space, a private bathroom with whirlpool tub and shower, as well as an expanded sitting area with desk, vanity, drawer space, and sofa bed. Each stateroom also has its own interactive television with satellite, thermostat controlled air-conditioning, direct-dial telephone, hair dryer, mini bar, individual safe, complimentary continental breakfast, and 24 hour room service with a private butler. Suite Amenities: Along with your room service, Costa Suites include full in-suite meal service, sparkling wine, cold canapes, daily fresh fruit basket, and VIP treatment with priority check-in and disembarkation, assistance with packing and unpacking, upgraded bath products, invitation to the VIP cocktail party, and a complimentary dinner for two at the ship's specialty restaurant. Special Samsara Amenities: Samsara Staterooms provide an exclusive experience with unlimited access to the Samsara Spa and Thalassotherapy pool, two complimentary treatments of your choice, and extra bath amenities that promote wellness and relaxation. Oceanview Suites S feature an ocean view, a queen bed, single sofa bed, single Murphy bed, private whirlpool bath with shower, double vanity, sitting area, television, telephone, minibar, hairdryer, and safe deposit box. Some suites feature a veranda while others offer panoramic windows to the sea. Approximately 480-sq.-ft. suite. Oceanview Staterooms feature an ocean view, a queen bed or two twins (some convert to queen), private bath with shower, television, telephone, minibar, hairdryer, and safe deposit box. 200-sq.-ft. stateroom. Premium Cabins are privileged cabins in terms of size and position. Located on the upper decks of the ship they provide extra comforts, including free continental breakfast on request, served in your cabin, free service in your cabin (24-hour room service) and the option to book dinner for a specific time in the restaurant. Oceanview Staterooms feature an ocean view, a queen bed or two twins (some convert to queen), private bath with shower, television, telephone, minibar, hairdryer, and safe deposit box. 200-sq.-ft. stateroom. Classic Cabins are located on the first decks of the ship; they offer the most affordable prices for each cabin type, providing all the comforts of a standard cabin and the freedom to enjoy all the services and facilities available on the ship. Samsara Inside staterooms have two twin beds most of which convert to a queen-sized bed, considerable closet space, a private bathroom with shower, as well as a sitting area with desk, vanity, and drawer space. 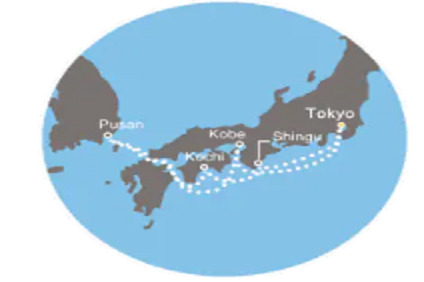 Each stateroom also has its own interactive television with satellite, thermostat controlled air-conditioning, direct-dial telephone, hair dryer, mini bar, individual safe, complimentary continental breakfast, and 24 hour room service. Special Samsara Amenities: Samsara Staterooms provide an exclusive experience with unlimited access to the Samsara Spa and Thalassotherapy pool, two complimentary treatments of your choice, and extra bath amenities that promote wellness and relaxation. Some staterooms are equipped with either a sofa bed in the sitting area, or upper Pullman-style bunk beds to accommodate a third or fourth guest. Inside Staterooms feature two twin beds (some convert to queen), a private bath with shower, television, telephone, minibar, hairdryer, and safe deposit box. 175-sq.-ft. stateroom. 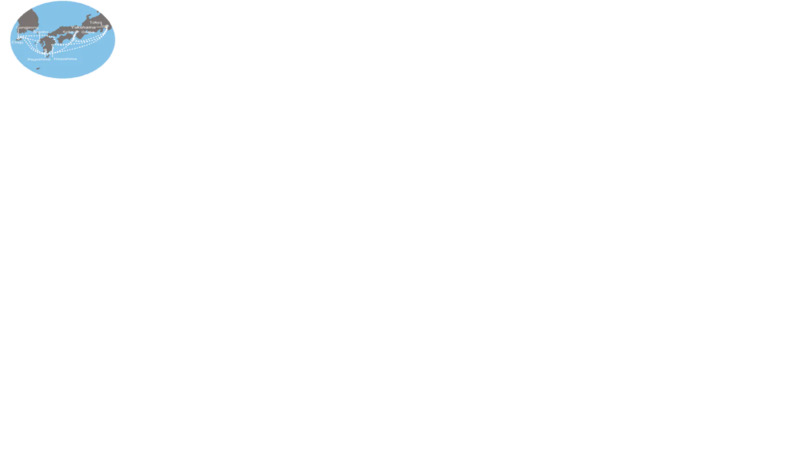 Premium Cabins are privileged cabins in terms of size and position. Located on the upper decks of the ship they provide extra comforts, including free continental breakfast on request, served in your cabin, free service in your cabin (24-hour room service) and the option to book dinner for a specific time in the restaurant. Inside Staterooms feature two twin beds (some convert to queen), a private bath with shower, television, telephone, minibar, hairdryer, and safe deposit box. 175-sq.-ft. stateroom. Classic Cabins are located on the first decks of the ship; they offer the most affordable prices for each cabin type, providing all the comforts of a standard cabin and the freedom to enjoy all the services and facilities available on the ship.